Those are great! that must've taken quite some time to build it. OMG!!! Those are incredible!!! My compliments to you Fabio!!! NICE JOB!!!! This is just getting better and better! Who would ever even try to make a level after seeing this! Fantastic! The level looks great(! )...and as MDN said....it looks like you've spent A LOT of time making it....but it's most certainly paid off. Sorrow - "How do you prove that you exist ... ? Maybe we don't exist ... "
And THANK YOU Driber for uploading the screenshots! 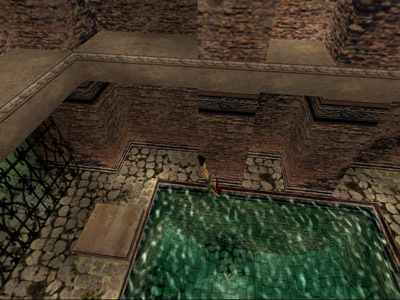 This is "The Escape", the third and last level of the "Lara Croft And The Quest For The Asphaeings Amulet" series. 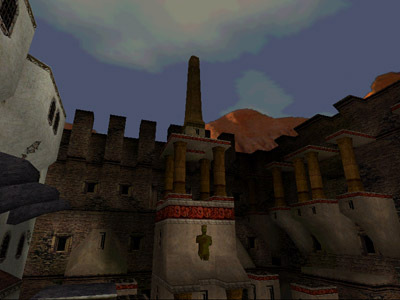 The first level, "City Of Blezqi Zatsaz", was released more than one year ago. It was built in three months. 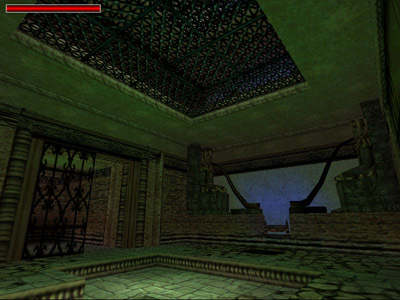 The second level, "Temple Of Azzivullas" was released last November. It took me almos five months to build, due to the limitations of the engine and LE. IÂ´m building this last level since then, so itÂ´s about six months now. But I donÂ´t work everyday, since I have many other duties like my recording studio and my music projects. Those screens are amazing - true workmanship. You know, the hardest thing for me is the lighting. ItÂ´s a difficult task to make it perfect. I always try to make it as real as possible. Bright light in outside areas, + sun light and shadows. 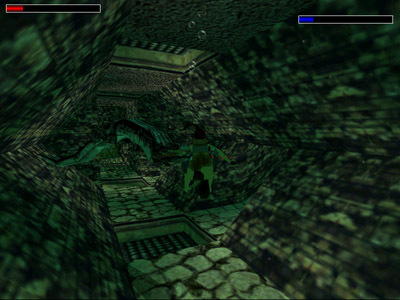 In internal areas, sewers, caves, I always try to make it as dark as possible without affecting the visibility of the player. Flares are always available in these areas. Torches (flame emitter 2) are welcome too. IÂ´ve heard people saying the internal areas of my levels are too dark. Not that dark in my opinion, there are no "complete darkness" areas at all. In my opinion, thatÂ´s what adds to the reality of a level. 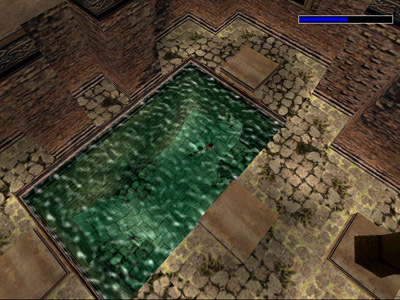 IÂ´ve played many "tomb" levels that are as bright as they had no ceiling and the sun shining inside all the time. 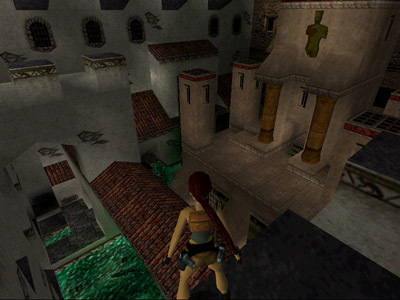 I agree, dark tombs are more realistic than bright tombs. I always set the ambience to an almost minimum and luminate the room with either lightbulbs or torches. I just need to setup a complex series of events for the resolution of the main puzzle of the level. If you need lighting, try the lightning conductor object. You can use different sound to create a real thunder crack. If you want, I can probably get you some realistic thunder sounds. 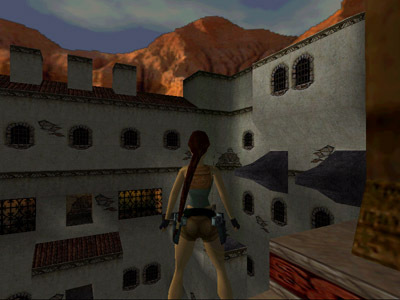 Temple Of The Dragon - Eastern Promise - Has Lara really got high heels on? Castle Ness - Is there a monster? Is there anything to do at all? Only you can find the answer. Snowbound - Its very cold and the inhabitants are all dead. Temple Of The Mayans - The Crystal Of Salvation is hidden among deadly traps and wild natives - can you really shoot those cute panthers? King Arthur's Castle - Lara goes in search of Excalibur - will the long dead Knights Of the Round table get her first? Another bump so you can see whatÂ´s coming till next few weeks! IÂ´m building the final rooms now (finally, after eight months) !!! So, if everything goes fine, youÂ´ll be enjoying this level next week! well that'll be another level to look forward too then Have you added a custom outfit to your level? lollies, u just love making outfits dont ya? So, to keep the series "integrated", IÂ´m using the original outfit. For the next series, which will be a totally different adventure, sure I will use a custom outfit! Great!! I have been looking forward to you releasing these Levels.They look awesome! !